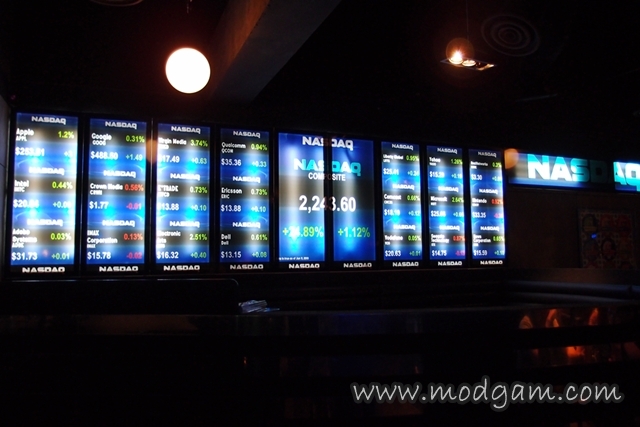 I’ve heard so much rave about this “stock exchange” joint and am finally here to check it out thanks to MSK! Thank you for the invite bro! 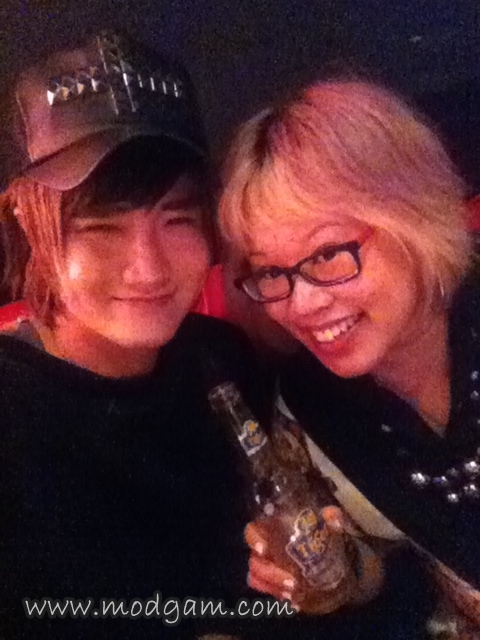 Together with the handsome Yutaki, the crazy sweetie Zerika and MSK’s reader, Rachel, we went on our food journey! 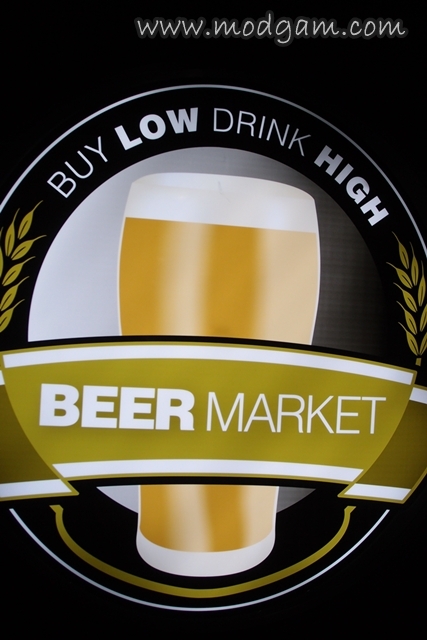 Inspired by the dynamics of the stock exchange, Beer Market is the perfect mixture of food, music and sports whereby drinks prices move according to demand, creating an exciting atmosphere and interactive experience. 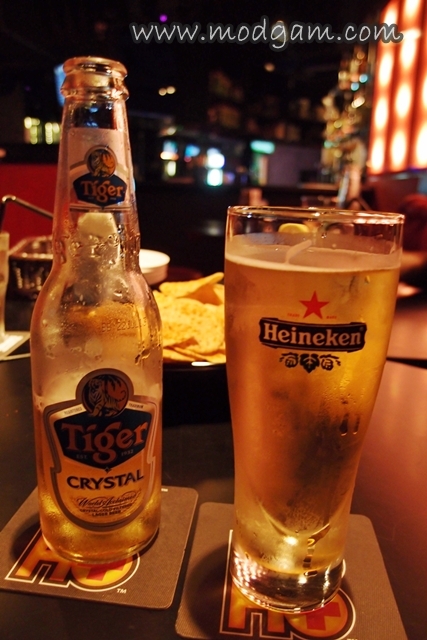 Tiger Crystal Beer – the hot favorite beer and I even had 2 bottles! I love the after taste for there is no bitterness. 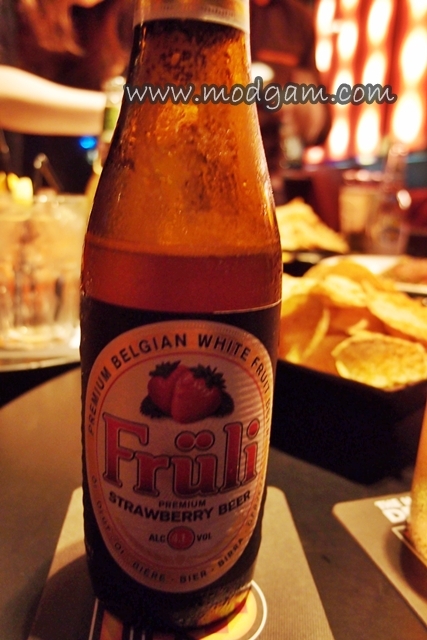 Fruli Strawberry Beer – though the after taste is a little bitter, there is a tinge of sweet strawberry taste. 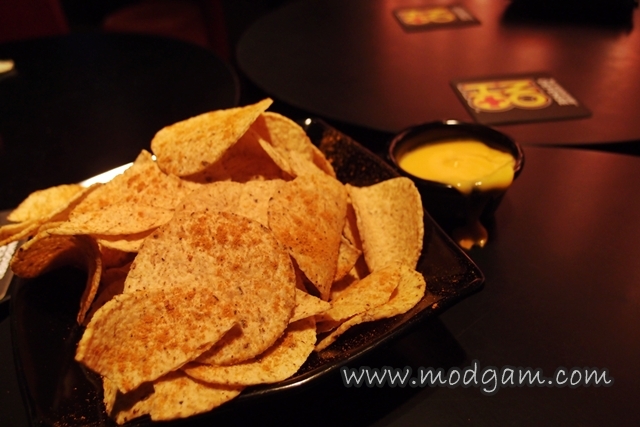 Cheese Nachos S$6.00 – perfect to go with beer drinking with friends. Love the melted cheese dip! 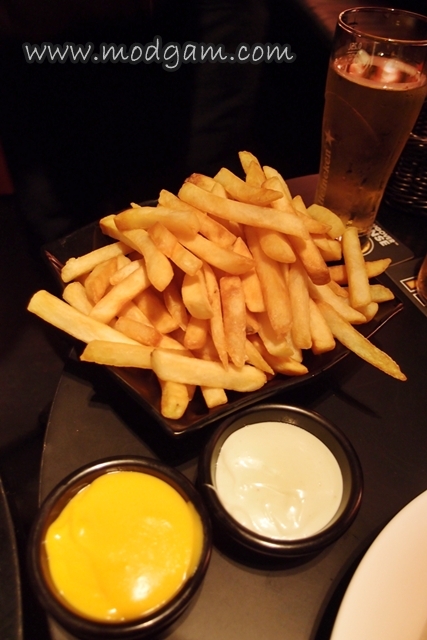 Cheesy Fries S$8.00 – don’t fancy nachos, how about the all time favorite fries then? I think we requested extra wasabi sauce. 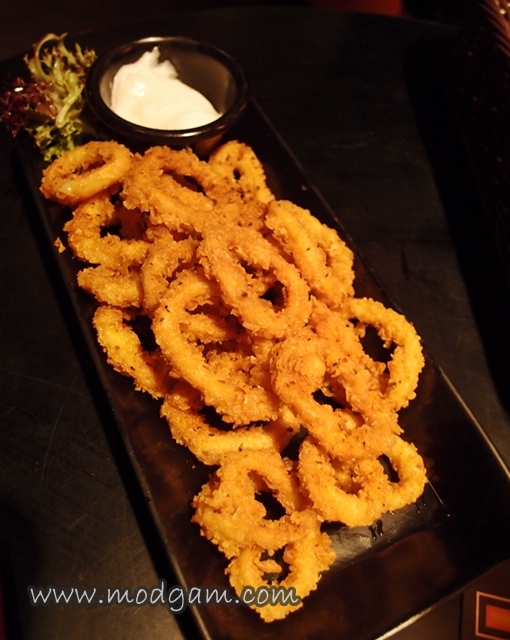 Calamari S$9.00 – deep fried calamari served with dipped sauce. 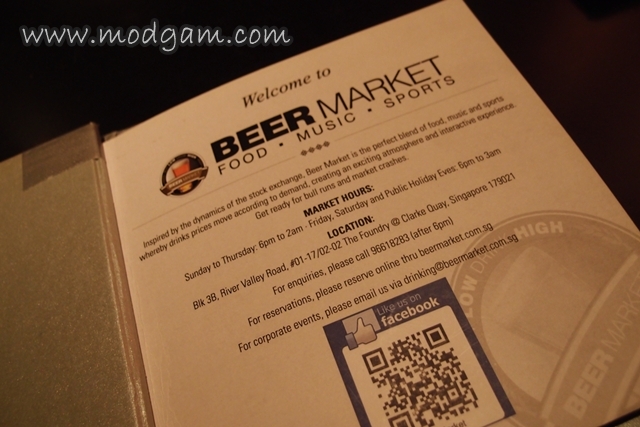 Spicy buffalo Wings S$10.00 – toooo spicy for my liking but my friends enjoyed it. 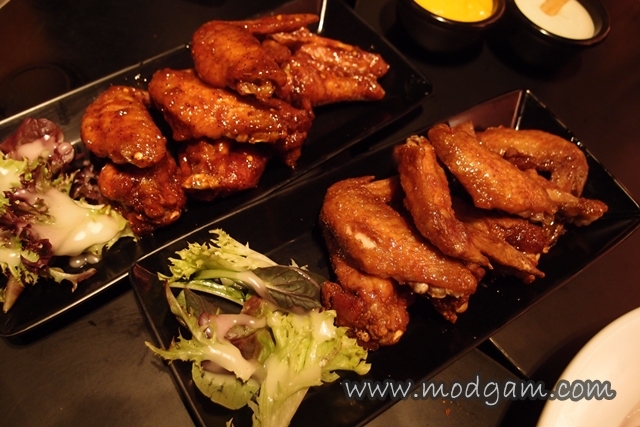 Honey Glazed BBQ Wings S$10.00 – very delicious and I would definitely order this again! 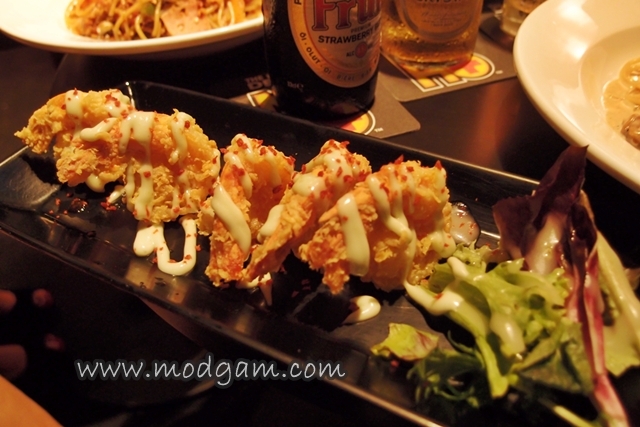 Wasabi Prawns S$10.00 – deep fried prawns with wasabi mayo. 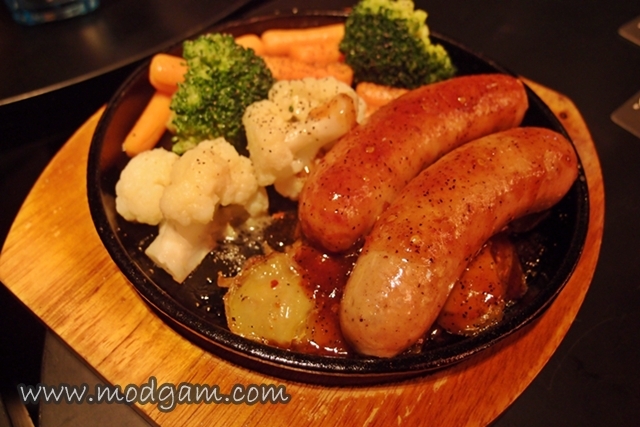 Grilled Pork Cheese Bratwurst S$13.00 – served with home-made sauce, sliced potatoes, onions and seasonal vegetables. 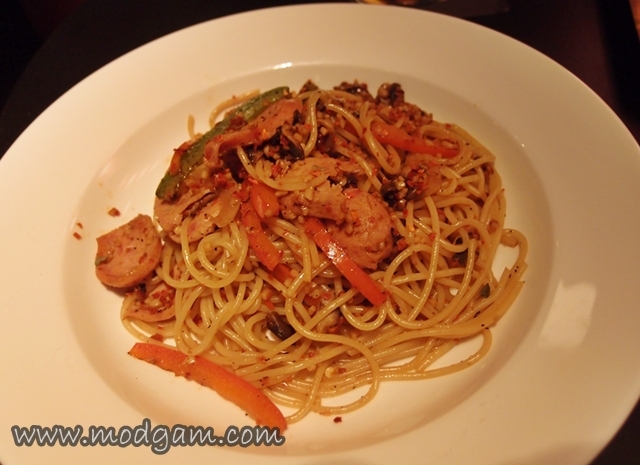 Sausage Aglio e Olio Pasta S$13.00 – sausage with chilli flakes. Its unusual for the aglio olio to be this spicy but I guess people who loves chilli will like this. 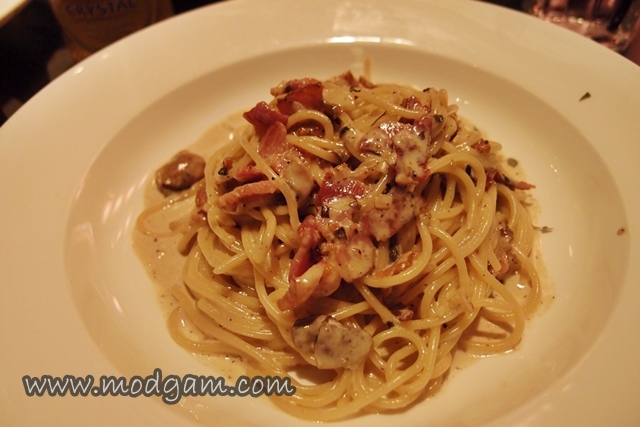 Carbonara S$13.00 – Bacon in cream sauce. My all time favorite dish minus the onions. 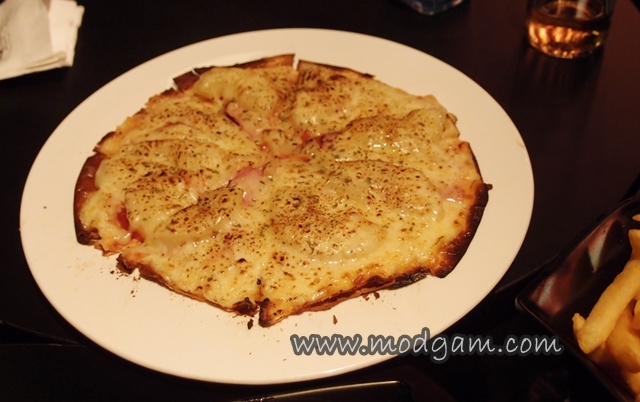 Hawaiian Pizza S$17.00 – Everybody’s favorite indeed! With the hot melting overdose cheese, ham and pineapples, what’s there not to love? The only decent pic with my very funny sweetie Zerika because after this decent pic, all our pictures are of funny faces. We had a ball laughing our hearts off! 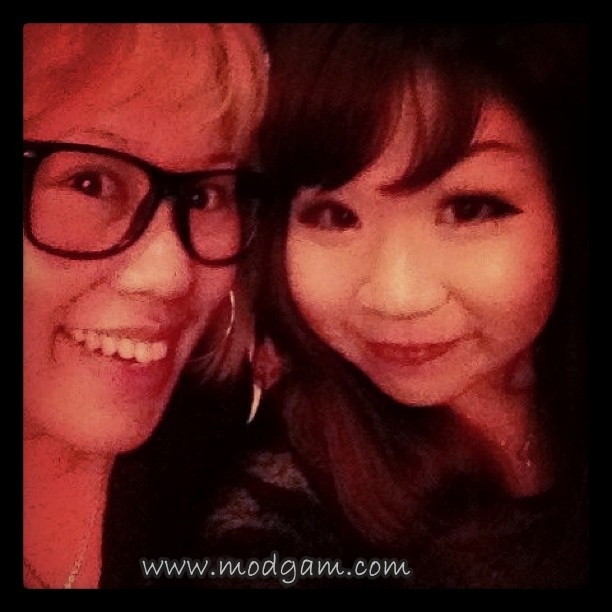 She and her funny iphone apps! hi lemons… it is really fun! i was all confused looking at it but i tried! 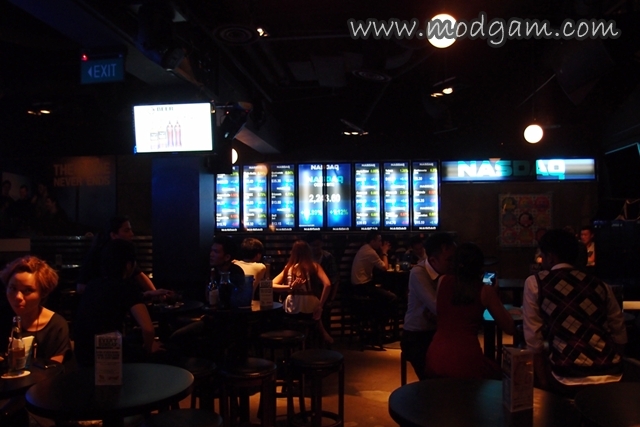 hahaaaaa Prices of beer change every 30 minutes interval and are determined solely by demand. When someone buys a particular brand of beer, the price of that beer will go up when the countdown clock hits 30 minutes. 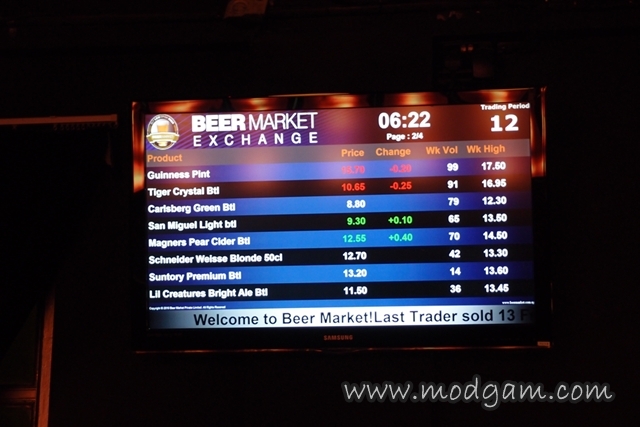 However, if the beer was not sold during the previous half hour, the price of that beer goes down.